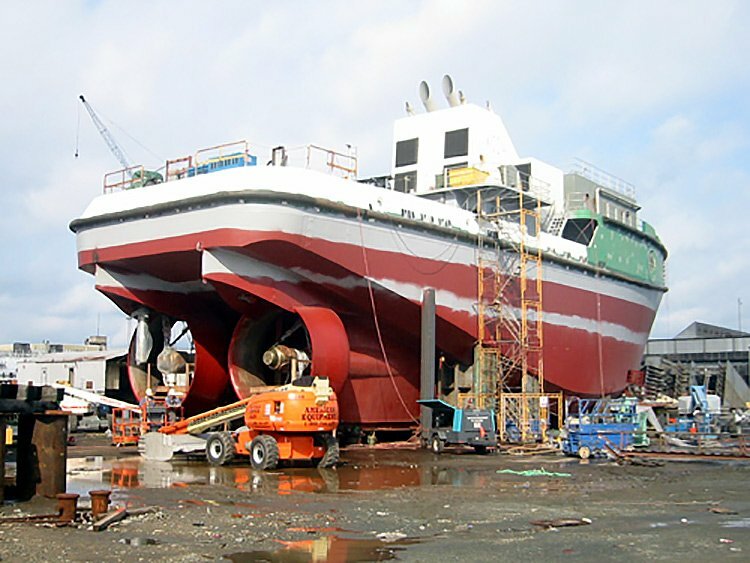 Mammoet Canada Eastern Ltd has contracted JMS to provide engineering support for a complex launching operation of an ATB tug being constructed for U.S. Shipping. The 12,000 HP tug is 150 feet long and weighs over 1,000 long tons. JMS worked closely with Mammoet to develop a cradle design to be used with the heavy lift hydraulic transporters. The transporters that will be used for the operation presented unique challenges to the design of the cradle which is comprised of a series of individual saddles. These saddles are positioned along each side of the vessel and designed to tie together the principal structure of the tug with the structure of the transporters. The saddles will be cut free of the vessel once it is has been transported to the launching barge. With the structural plans for the newly fabricated tug and the input provided by Mammoet regarding the anticipated loadout procedure, JMS developed a 3D model for each saddle. 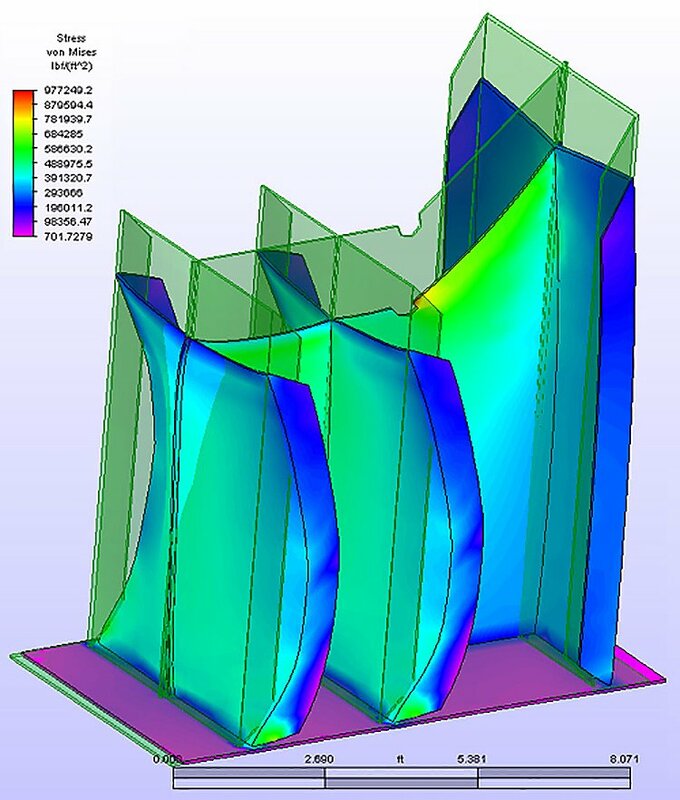 The models were then imported into a finite element analysis software package. Loads were derived based upon the information regarding the loadout schedule and a series of checks were performed. Further, these saddles are to be used for jacking points in the first and final phase of the loadout. This will result in higher loads for these eight saddles than the remaining eight saddles. The scantlings for these saddles were necessarily adjusted to reflect the increased stresses associated with the jacking operation.